Katie graduated from Kaleidoscope School of Massage in 2001. 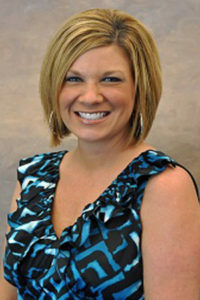 She has been in practice with Performance Chiropractic for over 10 years. Katie practices deep tissue, trigger point, relaxation and sports massage. She also does prenatal massage. Katie was the massage therapist with the St. Louis Cardinals for over 10 years. She is a member of the AMTA. Copyright © 2018 Performance Chiropractic All rights reserved.